It is the policy of Meals on Wheels Diablo Region to respect and protect the privacy of our donors and the users of www.mowdiabloregion.org (hereinafter, the “Site”). Through this Internet Privacy Statement, we want to reassure users of the Site that we will not sell, share, or rent user information to others in a manner different than as set forth in this Internet Privacy Statement. Donor information is not sold or shared, whether donation is made online through the Site, by mail, or through other traditional forms of giving. In order to fulfill the requests of Site users in the above instances, the user may be requested to provide contact and/or credit card information. If we have trouble processing an order, a request, or completing a delivery, this contact information will be used by Meals on Wheels Diablo Region to contact the user. We monitor traffic patterns on the site and gather broad demographic information for aggregate use to analyze trends and administer the Site in order to improve its layout and design and to permit Site personalization to create the best user experience for Site visitors. In order to perform analysis permitting such personalization and improvement of Site design and user experience, we may employ suitable third parties with whom we share the information necessary to accomplish these objectives. These statistics include no personally identifying information. We use a credit card processing company to bill donors and purchasers of goods from the Site, and depending upon the goods and services being ordered and where they are being shipped, we may also use outside suppliers and/or delivery companies to assist us in fulfilling and delivering orders. We share with them the information necessary to enable such card processing, fulfillment, and delivery of goods (i.e. name, address, and as appropriate, payment information). Our Site also contains links to external Internet sites, which may be operated by an external party and they may have privacy practices that differ from those here at www.mowdiabloregion.org. When you click on links that take you to such external sites, you will be subject to their privacy policies, and we encourage you to become familiar with that party’s privacy policies as these may differ from those utilized on our Site. Please note that this privacy statement applies solely to information collected by Meals on Wheels Diablo Region on our Site and, while we strongly support the protection of privacy on the Internet, we cannot be responsible for the privacy practices of other websites, uses of the information collected by other websites, or the content of other websites. We take credit card information security seriously and use a variety of technical solutions to make donations and purchases safe at our Site. Furthermore, your information is encrypted and is protected utilizing the industry standard Secure Sockets Layer (SSL) encryption software. While we use SSL encryption to protect sensitive information online, we also protect user information offline. All of the information of our Site’s users, including the sensitive information mentioned above, is maintained in a restricted section in our offices. Only those employees who need the information to perform a specific job (for example, our account or customer service representatives) are granted access to personally identifiable information. Furthermore, our employees are kept up-to-date on our security and privacy practices. If you have any questions about the security at our Site, you can send an e-mail to info@mowdr.org. From time-to-time we may request information from the users of the Site via surveys or contests. Participation in these surveys or contests is completely voluntary, and the users of the Site have a choice whether or not to disclose this information. Information requested may include contact information (such as your name and shipping address), and demographic information (such as zip code, age level, etc.). We use such information to notify contest winners, award prizes, and for analyzing the Site traffic to improve the user’s experience on the site. Meals on Wheels Diablo Region recognizes the particular importance of protecting the privacy of children. Consistent with the Children’s Online Privacy Protection Act (COPPA), we will not knowingly collect any personally identifiable information from children under the age of 13. When a user makes a donation or purchase on www.mowdiabloregion.org, the user is representing to us that they are an adult. If a child has provided www.mowdiabloregion.org with personally identifiable information, we ask that a parent or guardian call 925-937-8311 and we will delete the information pertaining to the child from our records. Meals on Wheels Diablo Region occasionally sends emails to our donors, volunteers, and other individuals who have expressed an interest in Meals on Wheels and have provided us with their email address. We may communicate with the users of the Site via e-mail, telephone, mail, or fax in order to provide requested services, content, product information, notification of special offers, or in regard to customer service issues relating to an account. The users of the Site are always given the opportunity to ‘opt-out’ of having their online information used for purposes not directly related to the Site at the point at which we ask for the information or when they receive an online requested promotional communication. For example, our e-mail messages have an “unsubscribe” feature for users of the Site that don’t want to be notified about special offers in the future. Users can simply “Reply” back to the e-mail message and type “unsubscribe” in the subject field. Upon receipt of the reply, we will remove that e-mail address from our e-mail list. If a user has more than one e-mail address, he or she should include the other addresses as well to ensure proper updating of their account information. Users of the Site can always update the personally identifying information that they have provided to Meals on Wheels Diablo Region simply by e-mailing us at info@mowdr.org. Meals on Wheels Diablo Region controls and operates this Site from its offices within the United States. Claims relating to, including the use of, this Site and the materials contained herein are governed by the laws of the United States and the State of California. If you do not agree, please do not use this Site. If you choose to access this Site from another location, you do so on your own initiative and are responsible for compliance with applicable local laws. The information contained in this Site including all images, illustrations, designs, photographs, video clips, writings and other materials that appear herein are copyrights, trademarks, trade dress or other intellectual property owned, controlled, or licensed (all of which, collectively, are herein referred to as the “Contents”) by Meals on Wheels Diablo Region or are the property of their respective owners. The name Meals on Wheels Diablo Region and logos are registered marks of Meals on Wheels Diablo Region. None of the Contents may be copied, reproduced, distributed, republished, downloaded, displayed, posted electronically or mechanically, transmitted, recorded, in any manner mirrored, photocopied, or reproduced without the prior written permission of Meals on Wheels Diablo Region or the applicable copyright owner. Please note that the permission granted herein terminates automatically if you breach any of these Site terms or conditions. Any other use of the Contents on this Site including reproduction for purposes other than as noted above, and including any reproduction, modification, distribution, or republication may violate copyright or trademark laws, and, without the prior written permission of Meals on Wheels Diablo Region, is strictly prohibited. Meals on Wheels Diablo Region is providing this site and its contents on an “as is” basis and makes no representations or warranties of any kind, either express or implied, including, without limitation, warranties or conditions of title or implied warranties of merchantability or fitness for a particular purpose, and non-infringement. 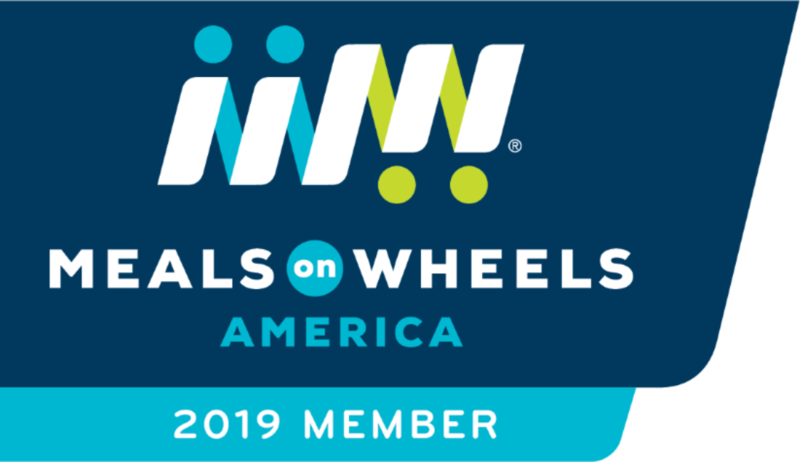 Although Meals on Wheels Diablo Region believes the content to be accurate, complete, and current, Meals on Wheels Diablo Region does not represent or warrant that the information accessible on this site is accurate, complete, or current. In no event shall Meals on Wheels Diablo Region be liable for special, indirect, exemplary, or consequential damages or any damages whatsoever, including but not limited to, loss of use, data, or profits, without regard to the form of any action, including but not limited to contract, negligence, or other tortuous actions, all arising out of or in connection with the use, copying, or display of the contents of this site. You agree that any material, information, and ideas that you transmit to this Site or otherwise provide to Meals on Wheels Diablo Region (“Transmissions”) shall be and remain Meals on Wheels Diablo Region property. All Transmissions will be treated as non-confidential and non-proprietary and Meals on Wheels Diablo Region shall be under no obligation of any kind with respect to such information and shall be free to reproduce, use, disclose, and distribute the Transmissions to others without limitation. Additionally, Meals on Wheels Diablo Region shall be free to use any ideas, concepts, know-how, or techniques contained in such information for any purpose whatsoever including, but not limited to, developing, manufacturing, or marketing products and services incorporating such information. You further agree that Meals on Wheels Diablo Region may use information about your demographics and use of this Site in any manner that does not reveal your identity.